If you are a non-EU citizens who lives in the Czech Republic continuously for five years, you can apply for a permanent residence permit. Another way to get permanent resdience is to fulfill condition of 2 years of continuous temporary residence in the Czech Republic, if for at least 1 year you are a family member of a citizen of the Czech Republic who is registered with permanent residence in the territory or you are a family member of a citizen from another EU Member State, who has been issued a permanent residence permit for the Czech Republic. The permanent residence permit is issued for 10 years. Its validity can be extended for 10 years, repeatedly if needed. The language exam is mandatory condition for obtaining permanent residence permit. 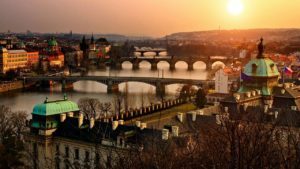 Prague Visa will help you with the application for permanent residence, collection of mandatory documents, communication with the Ministry of Interior and other related authorities.